Make your pictures more glamourous and idealistic than ever before to remember so that you can turn yourself into a celebrity. Add various filters to your photos and create a really great and unique images with a single gesture. Very easy-to-use features and simply choose a style and add the corresponding number of pictures to blend.Latest app update includes grid option and thus expands the borders according to your imagination. 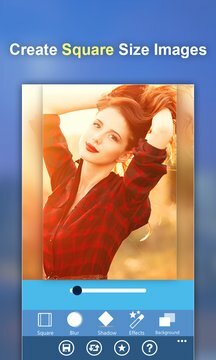 Updated with a set of options or even a pack of different effects to applyand create insta square size images with a magical flick. The app will detect eyes, lips and other face parts to provide you a better result. 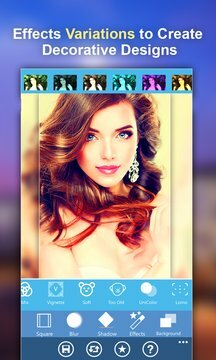 Modify or change brightness, add blur effect, change contrast and make other possible improvements on your face.Stylish app for quick photo blending. Take a photo or choose the saved ones from your device and blend or combine them. Enhance photo designs in a creative way to bring out elegance and graceful pictures with family and friends which sharable online.